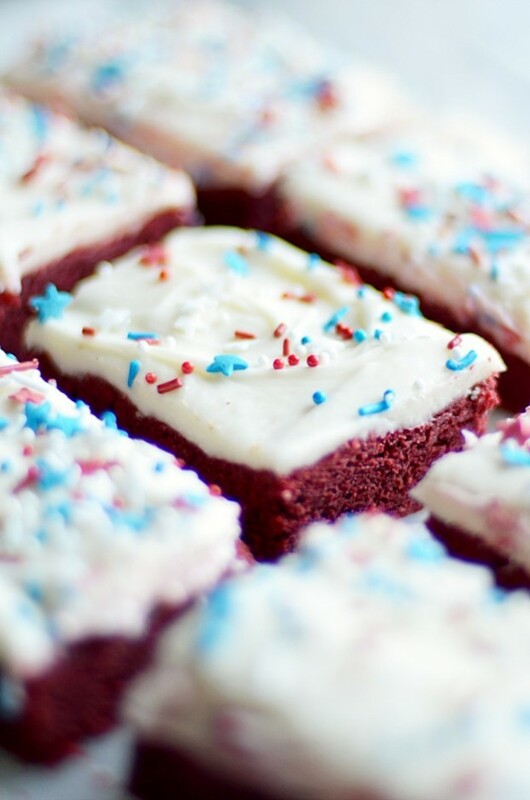 Chewy red velvet cookie bars smothered in a sweet, tangy cream cheese frosting. 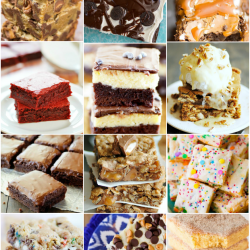 These bars are so easy to make since they start with a cake mix! WARNING… if cream cheese frosting is your kryptonite, you might want to back away from the computer right now. 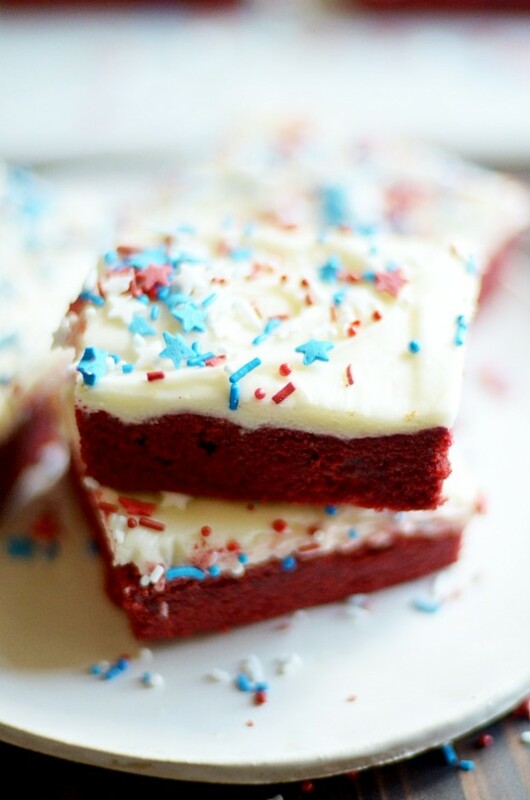 Because there is no shortage of sweet and tangy cream cheese frosting in these red, white, and blue cookie bars! SO. GOOD. Any red velvet fans in the house? ???????? Totally me. I love it. 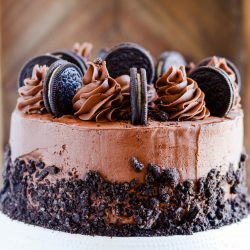 Not quite chocolate, but definitely not vanilla. 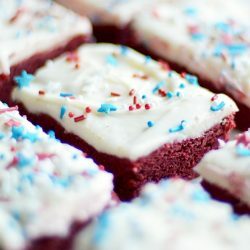 Red velvet has a subtle tang from the buttermilk and is always ultra moist. And nothing, nothing, compares with the classic combination of red velvet paired with cream cheese frosting. One of the ways I really enjoy changing up red velvet a bit is by transforming it from cake to cookie. And then I went a step further and took it from cookies to bars. Seemed like the natural progression of things. ???? ??? ?First, a layer of red velvet cookie based on my favorite cake mix cookie recipe. ???? ??? ?On top of that is a thick layer of my cream cheese frosting. I’m obsessed with it. ???? ??? ?Lastly, sprinkles. Of course. Start to finish, these easy bars are really done pretty quickly. 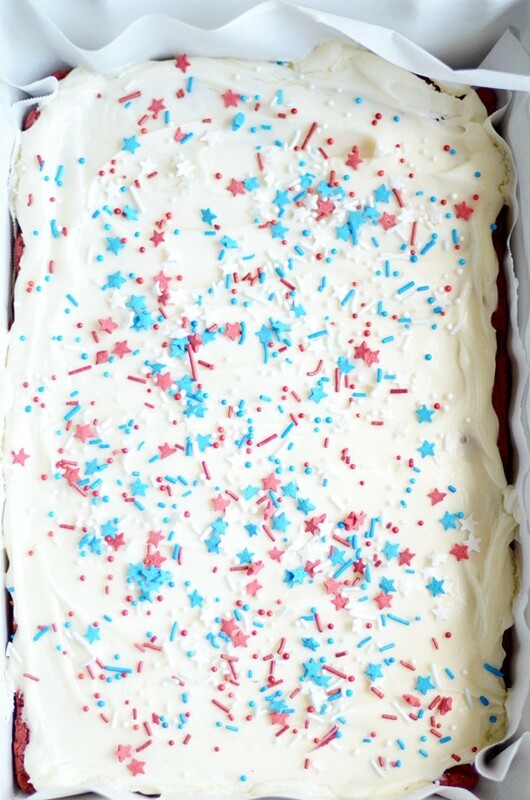 And the result is a moist, luscious red velvet cookie bar topped in a cream cheese frosting that is futile to resist. 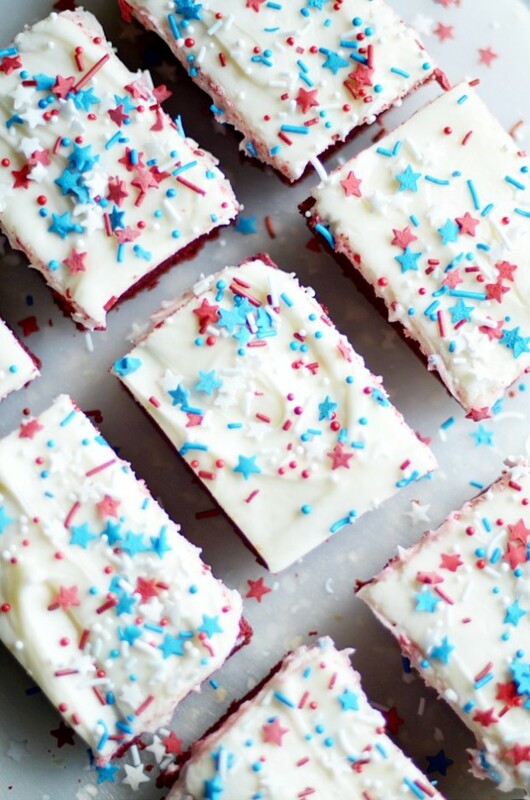 This dessert is the perfect recipe to make for your 4th of July celebrations! Mix the cake mix, eggs, oil, and flour until dough forms. Press the dough into a lightly greased 9x9 baking dish. Bake for 20 minutes (be careful not to overbake, or it will dry out). Let cool for at least 30 minutes before frosting. Make the frosting: use and electric mixer to beat together the cream cheese and butter until smooth. Mix in the powdered sugar and vanilla. 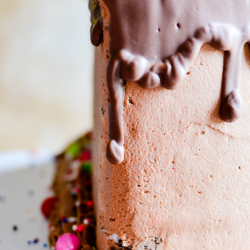 Spread frosting over the cooled bars. Add sprinkles if desired.